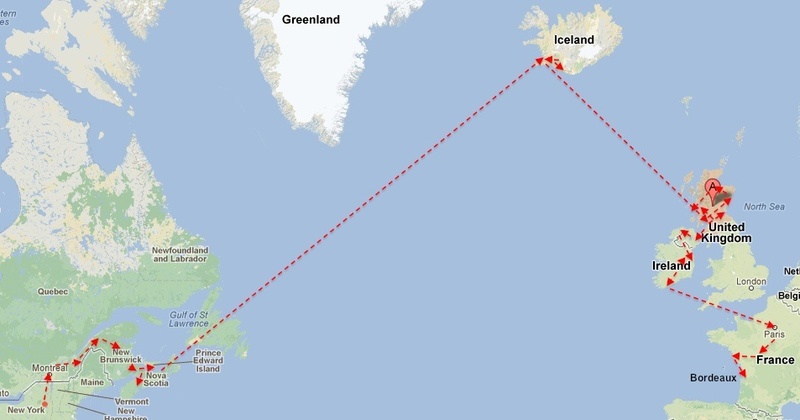 For 91 days my wife and I have drunk on a budget from New York to France. 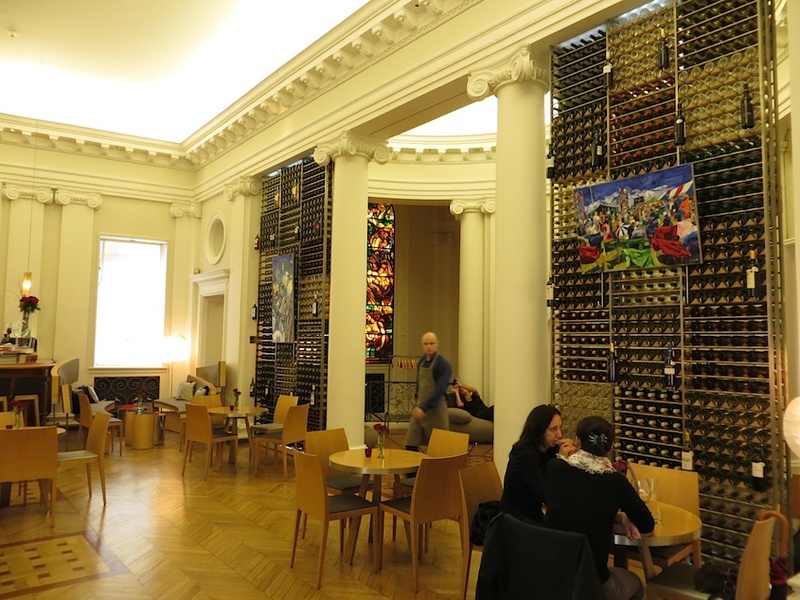 Finally, we reach Bordeaux: home to more of the most expensive, collectable wines than any region in the world (as well as many thin, cheap, ones). Here we can fulfill our dream, forged in the fire of the Advanced WSET exam. We will smell the soil, try the food, and revel in the wines of this unique terroir. And it’s my birthday. The rub? My wife’s flu has hit with full force. The sniffles have also begun to muddle my mind, and worse, my palate. We ogle the wine list. Bottles grand, obscure, and expensive fill its many pages. Soft jazz, tourists sipping, and loquacious waiters echo about the hall. But my runny nose says leave. But we’re not quitters. No! Illness be damned. If we can’t drink, at least we can exhaust ourselves exploring. 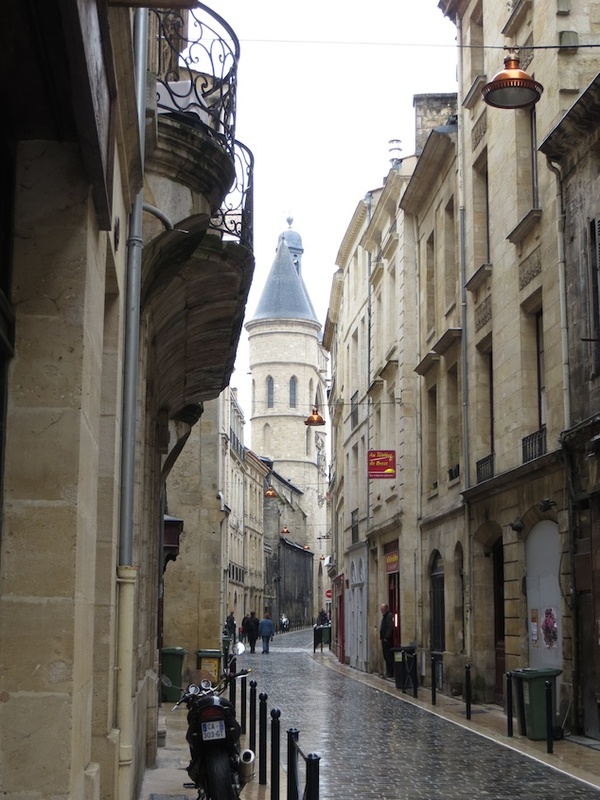 So we hit the wet cobbles and quickly get lost in Bordeaux’s limestone maze. A city gate peaks between alleys. Many negociants (wine merchants) have left the port’s old center. But their imprint abounds. Every building has cellars, ramps, and gates for wine barrels, even if they now hold car collections. 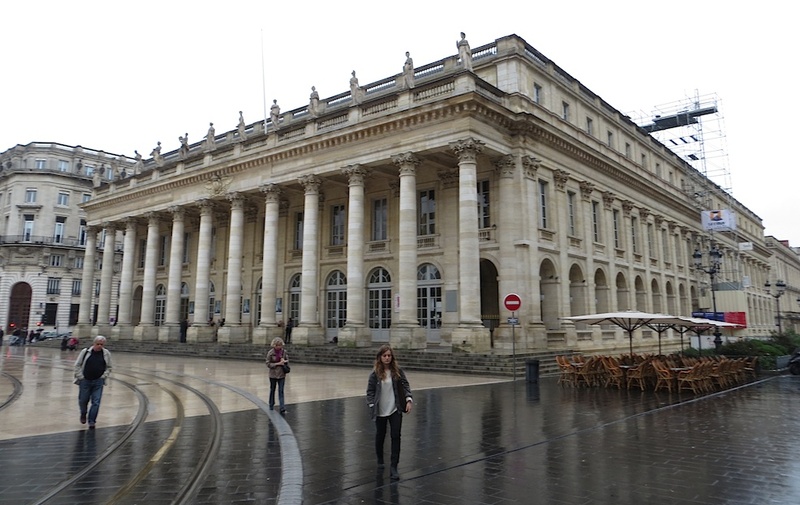 When not making, shipping, or selling wine, Bordeaux’s Opera House fed it’s competitive, aspiring merchants with magnificence. Great, lengthy tour of the Opera, even in French. 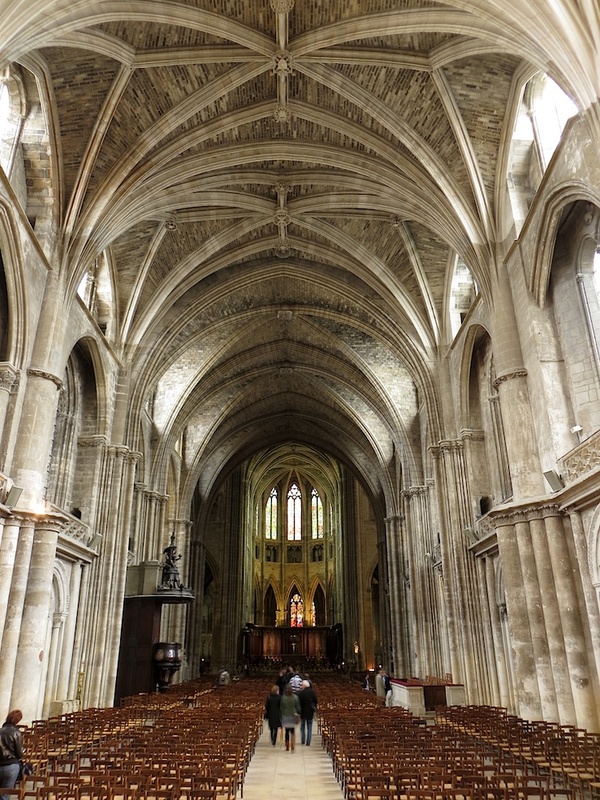 Bordeaux’s countless churches speak of these patrons buying their way to heaven. An amalgam of increasingly elaborate construction phases, and restorations, reflect unabated waves of patronage. 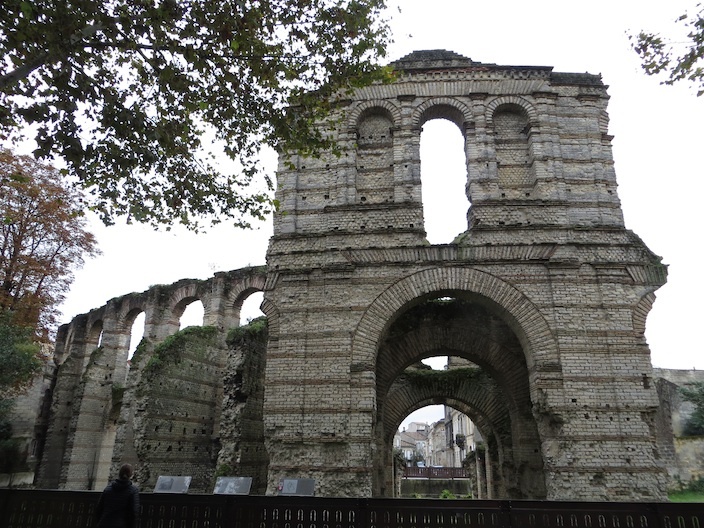 While we usually trip over ruins in most European cities, Bordeaux only kept its amphitheater (the Revolution almost dismantled even this for an apartment complex). The churn of commerce reigns supreme. Everything, even the brothels, look tidy, manicured. 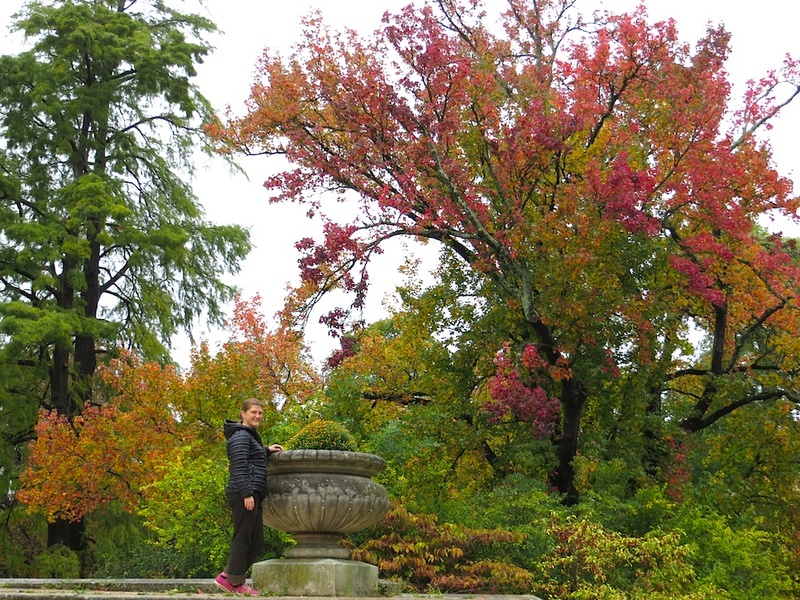 Fall’s riot of colors seem constructed, perfected in city parks. 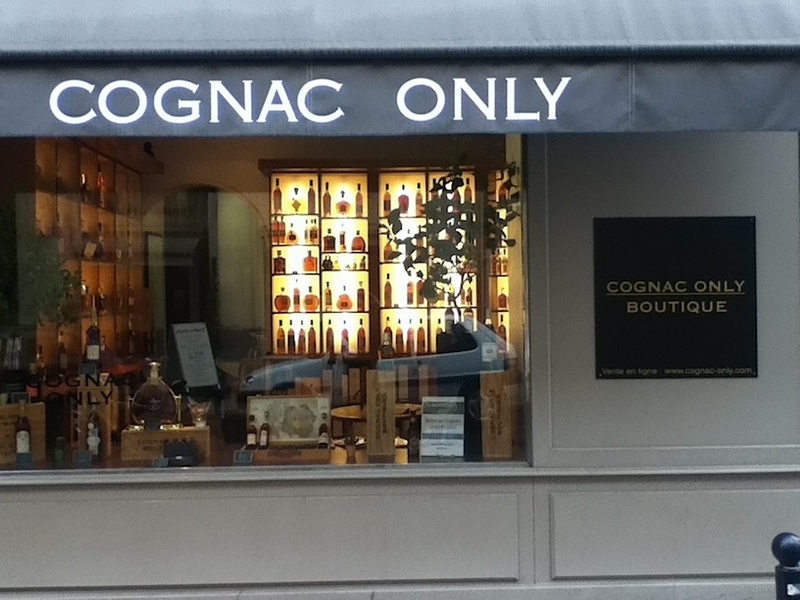 It’s a marvelous place: tailored, serious, yet showy, much like its wine. 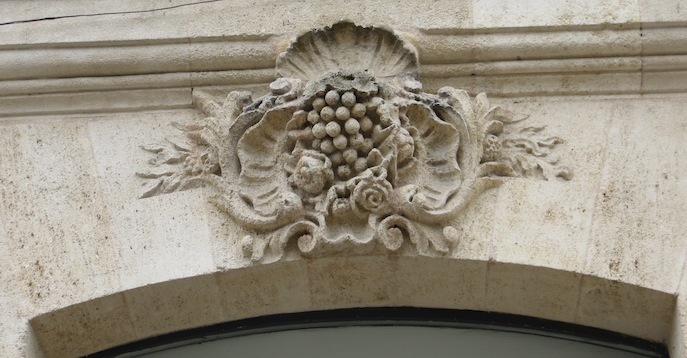 The next few Monday posts will explore Bordeaux and its vines in depth. 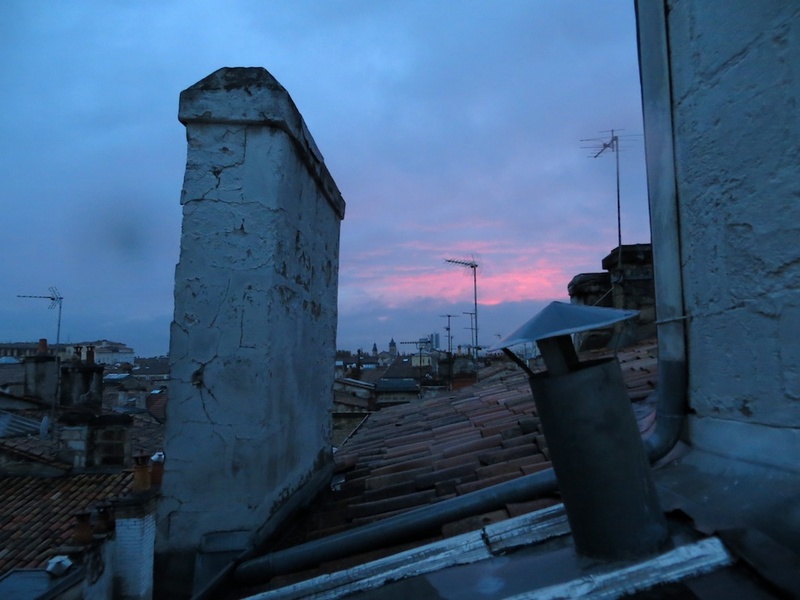 For now, we feel horribly sick, and will have to suffer sober through the unsurprisingly gorgeous sunset from our rooftop home stay. This entry was posted in Uncategorized and tagged Bordeaux, France, Garonne, Gironde, Negociant, wine, Wine Merchant. Bookmark the permalink. Fascinated by tasting room. Are there more throughout city? Do you receive a Somelier + their advice if you taste? Procedure of selection, and ambience could be an experience in and of itself? You get personal service from a Somm who tailors your tasting based upon preferences, interests, price, etc…as long as you’re not super sick!